You can vote for Robert Mueller on Tuesday. No, really. Donald Trump is on the ballot in every single House and Senate race; you just won’t see his name. There’s also another person on the ballot: Special Counsel Robert Mueller. By all accounts he’s gearing up to make his big move against Trump shortly after the election. He’s simply waiting to see how things shake out, so he can decide how to proceed – and he needs your help. 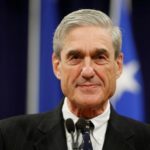 If the Democrats win the House, it will allow Robert Mueller to hand his findings and recommendations to the House, and let the Democrats run with it. After all, the destruction and ouster of a criminally corrupt president is still ultimately a political process. House Democrats can immediately begin holding daily televised hearings to destroy Trump one swift blow at a time, even while sending subpoenas flying and taking a proverbial buzzsaw to what little is left of Trump’s viability. If the Republicans retain control of the House and Senate, that will leave Robert Mueller as the lone ranger. Much as we might enjoy the visual, it’s not the ideal scenario. Mueller would be forced to try more unilateral and riskier moves such as indicting Donald Trump directly. The odds of Mueller successfully taking Trump down would be lower. So yeah, Robert Mueller is on the ballot on Tuesday, in every House and Senate race around the nation. If you approve of what he’s trying to do, feel free to vote for the Democrat in every House and Senate race. When you do, you’ll be voting to give Mueller the power to take Donald Trump down in truly powerful fashion.